College campuses are perhaps the most telling evidence of our culture’s love affair with sophisticated technology. It is commonplace to see students tote laptops from the dorm to the classroom and the library; use cellphones to stay in touch with friends on campus and check in at home; document college memories with digital cameras; and procrastinate with portable gaming devices. Professors are facilitating the trend by shifting class lessons and assignments to the web and using e-mail, blogs and online forums to communicate outside of the classroom. With the proliferation of electronics also comes the challenge of their proper disposal. Many universities are grappling with ways to efficiently and cost-effectively handle the issue of electronic waste, or e-waste, on campus. It’s normal for people to discard of products due to normal wear and tear, but technological advancements have accelerated e-waste growth as students, faculty and administrators frequently upgrade to better gadgets. This surge has forced university administrators to carefully examine and address the environmentally responsible disposal of these products on a campus-wide scale. Given the volume of e-waste a typical college campus can produce, adopting a waste management strategy that is designed to maximize participation is essential. A successful recycling program should operate with an infrastructure for on-site collection that is free and accessible. On-campus accessibility will maximize collections and foster widespread organizational support. 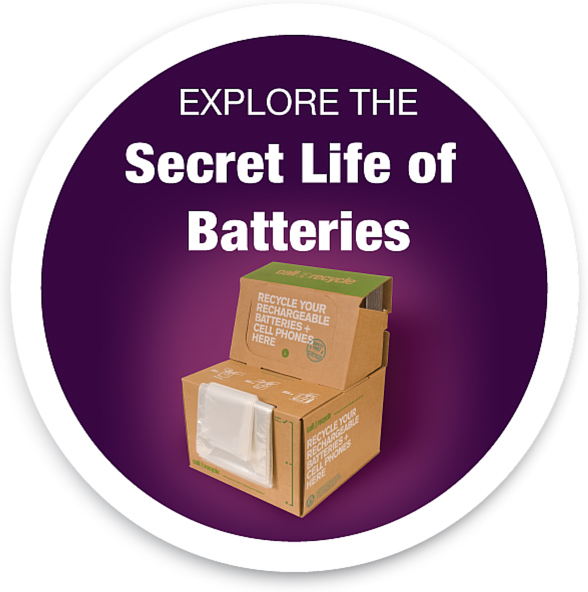 Rechargeable batteries are a prime source of campus e-waste, as they power most portable electronics like cellphones, laptops, digital cameras, camcorders and PDAs. An on-campus recycling program for batteries is one component of an overall e-waste management strategy that allows facility managers to provide an environmentally sound method for disposing of products that are potentially hazardous to the environment. Call2Recycle® is the only free rechargeable battery and cellphone collection program in North America, easily integrated into a campus’ existing recycling activities and solving a major component of the e-waste challenge. To date, Call2Recycle has diverted more than 50 million pounds of rechargeable batteries from local landfills. Because the program can be implemented directly on campus and easily administered by environmental or facility departments, it offers the convenience and accessibility that makes students and staff more apt to participate. The University of Louisville in Kentucky is one institution that has committed to improving its campus sustainability by enrolling in Call2Recycle. After examining the amount of rechargeable batteries used in campus facilities and the cost savings of a free recycling program, the university’s Department of Environmental Health and Safety opted to implement battery collection through Call2Recycle on the Belknap and Health Science Center campuses. Since its enrollment in April 2009, more than 1,300 pounds of rechargeable batteries have been recycled, the majority of which are collected from the Physical Plant Department’s maintenance and management of 131 campus buildings. Program participation is encouraged through the Physical Plant Department’s recently launched recycling Web site, which provides information to the university community about on-campus recycling programs for various materials. New faculty and staff members are kept up-to-date with the program through monthly Lab Safety & Hazardous Waste training sessions and are encouraged to spread word about the program around campus. Participation in an established recycling program also helps campus facility managers and administrators achieve compliance with legislation that requires certain materials be recycled. In fact, many states have already mandated the recycling of electronics and rechargeable batteries. Federal legislation known as the Mercury-Containing and Rechargeable Battery Management Act requires manufacturers to establish a free and convenient recycling program for nickel cadmium rechargeable batteries. State governments have also joined this effort, with industry implemented, state-approved rechargeable battery recycling programs required in about a dozen states. Young adults possess a heightened environmental consciousness and a strong sense of social activism, making colleges and universities hot spots for green initiatives. Students are often key drivers in the greening of their local college communities by encouraging participation in campus efforts. Student leaders, environmental groups and influencers can use the Call2Recycle infrastructure to spread word around campus about the importance of involvement in recycling efforts, while offering the university an opportunity to actively address sustainability needs. As students and faculty at the University of Louisville in Kentucky have found, properly disposing e-waste is a simple and pain-free step toward protecting the environment.